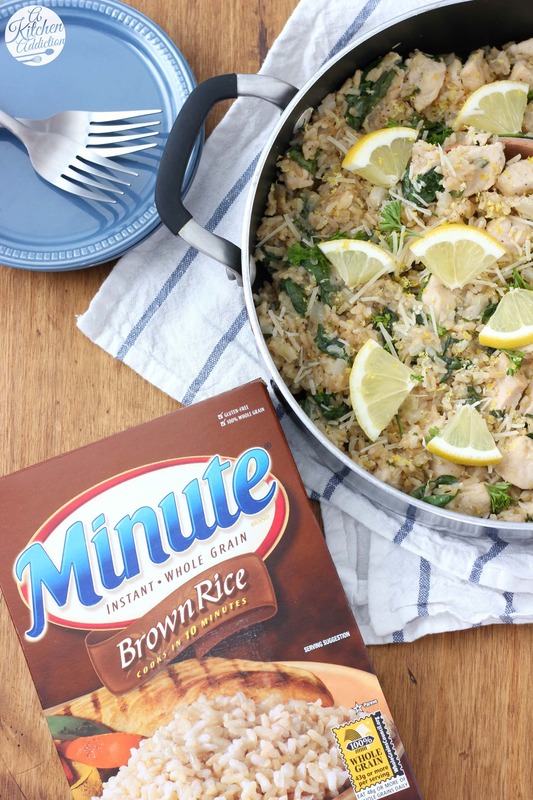 Thank you Minute® Rice for sponsoring this post and making this easy one pan meal possible! It’s turning out to be an unofficial “easy meals week” here on the blog! 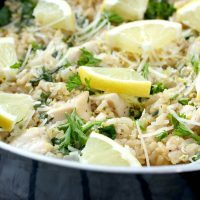 No complaints here, and, I hope, you won’t have complaints either after trying this lemon parmesan chicken and rice skillet! Not only is it super easy (just one skillet!) and full of flavor, but this skillet meal is also hearty and healthy. Think of it as spring comfort food! The base of this one pan meal is nutty, wholesome brown rice. We like to eat brown rice at our house, but often don’t have the time it takes to cook it. That’s why I love using Minute® Whole Grain Brown Rice. It only takes 10 minutes to cook while still having the same nutritional value as regular long cooking brown rice and keeping that great rich, nutty flavor! It’s also MSG and preservative free along with being non-GMO, so you can feel good about serving it up to your family in dishes like this. Instead of cooking the rice in water, we switched it up and used low-sodium chicken broth and fresh lemon juice to impart lots of good flavor into the rice and make the lemon more prominent in the dish. The result was exactly what we were hoping for, and I know we’ll be preparing rice like this more often! 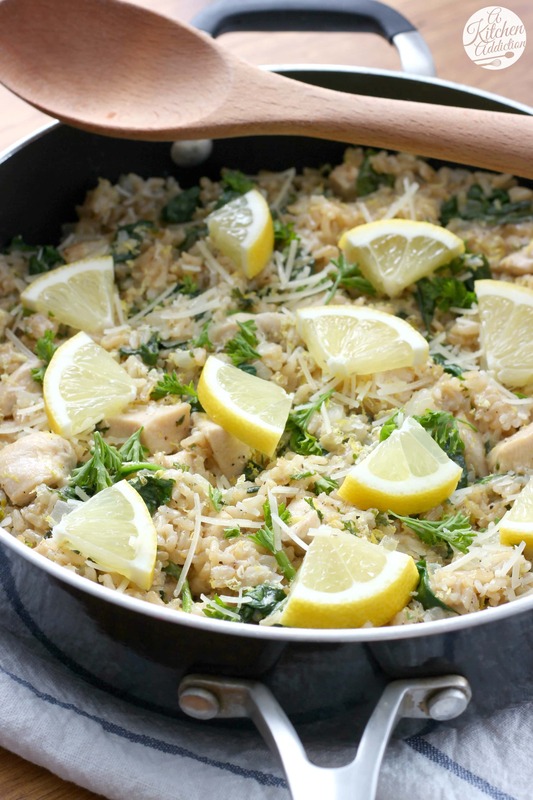 Cook some chicken, stir in the liquid and rice, and then add in a hearty serving of spinach, parmesan, parsley, and fresh lemon zest! That’s all it takes to get this skillet meal on the table. Then you can sit down and enjoy some hearty, spring comfort food! Carefully stir in chicken broth, lemon juice, salt, pepper, and rice. Cover and bring to a simmer. Allow to simmer for 5-7 minutes, or until most of the liquid is gone. Stir in spinach, grated Parmesan cheese, parsley, and lemon zest. Cover, remove from heat, and allow to stand for 5 minutes. 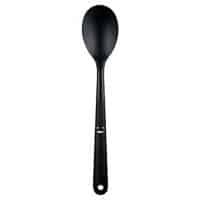 Remove cover and fluff mixture with a fork. Serve with additional Parmesan cheese and lemon zest, if desired. This is a sponsored post written by me on behalf of Minute® Rice. As always, all opinions are my own. Thanks for supporting brands that make A Kitchen Addiction possible! We actually make a big batch of Minute Rice Brown Rice at the beginning of every week because it pairs so well with just about anything we want to throw on there for lunch or dinner. This looks absolutely yummy! 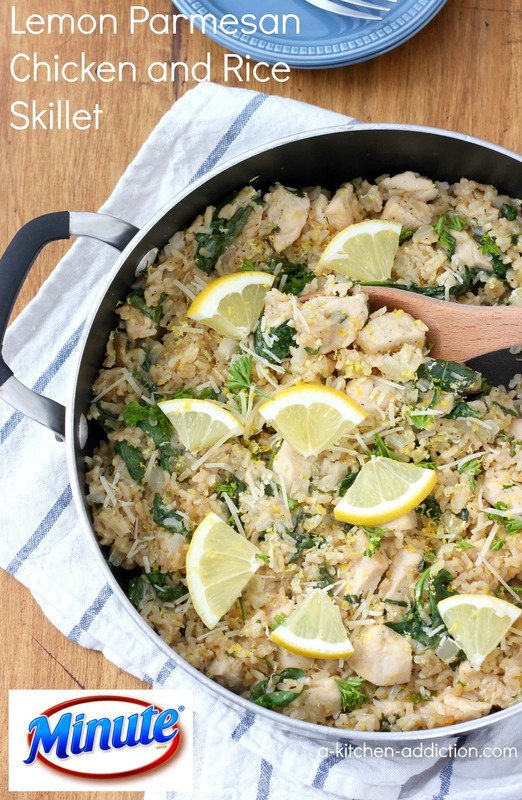 This rice skillet is definitely perfect for spring! Sounds fantastic!! Happy Thursday! This is one gorgeous meal, Jessica. I love lemons with chicken. They add so much flavor! Love the lemon parmesan here! It’s so perfect for the warmer weather we are having. This dish is 100% comfort food! I love the addition of lemon to bring a bright fresh flavor…yum! I love how easy this recipe is Jessica! My boys would really, REALLY love this! These flavors sound fabulous! My family would gobble this up! Ive been wanting more easy dinner ideas and this looks just perfect! 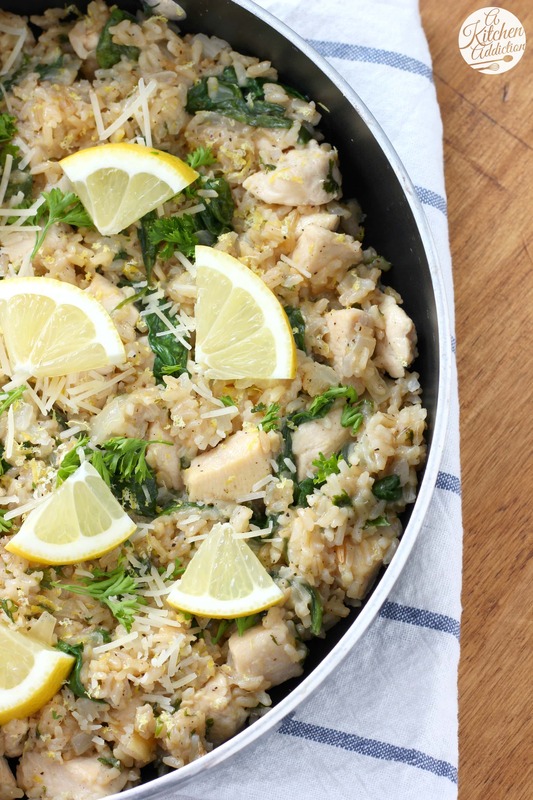 So good with the quick brown rice, lemon and chicken! 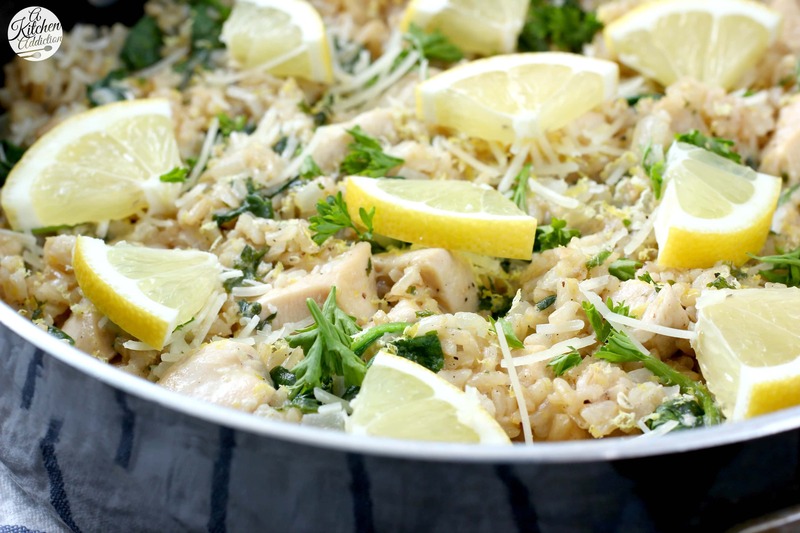 Lemon, chicken and rice is such a great combo – love easy meals like this! This looks fantastic – I know my family would love it! This looks great – love that it’s made in one skillet. 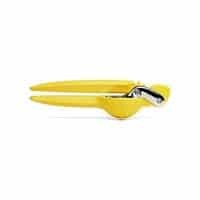 I’m gaga for lemon right now! This looks so light and springy! Love that it’s all made in one skillet too! I love easy one pot meals like this, and the lemon must make is so fresh and delicious! This is the perfect quick spring dish! You can never go wrong with a Minute Maid Skillet!! Love this! I never even knew that they made brown Minute Rice! I can’t wait to grab some – this looks delicious! I love all of these flavors! Looks delicious!